A clever YouTuber has figured out how to explore Azeroth in the World of Warcraft Classic demo a week before Blizzard opens the gates. Eurogamer reports on a YouTuber who goes by Dodgy Kebaab, who contacted the site’s deputy editor to show him footage he’d uploaded comparing World of Warcraft Classic and the original game circa 2006. Most players will need a BlizzCon 2018 Virtual Ticket and will have to wait until the demo officially launches November 2 to play. But Dodgy Kebaab obtained a leaked demo client after it leaked over Discord, and used a ‘sandbox emulator’ to spoof the game into connecting to a local PC rather than official Blizzard servers. Doing this only allows you to explore the WoW Classic version of the gameworld. As Eurogamer notes, there are no NPCs or quests to engage with, so you’re limited to wandering around the world. But it does provide a good idea of what WoW Classic looks like, and Dodgy Kebaab has noticed a few key differences from the original game. The lighting in Classic is different, and it’s using some different textures than vanilla WoW did. However, there is an option to revert the look back to that of the original game. Earlier this week we learned that the WoW Classic demo will limit players to a certain amount of gametime per session in order to “maximize the number of people who can try out the demo,” as Blizzard put it. In any event, you’ll need a BlizzCon Virtual Ticket to join in, and those run $49.99/£34.99. BlizzCon runs November 2-3. 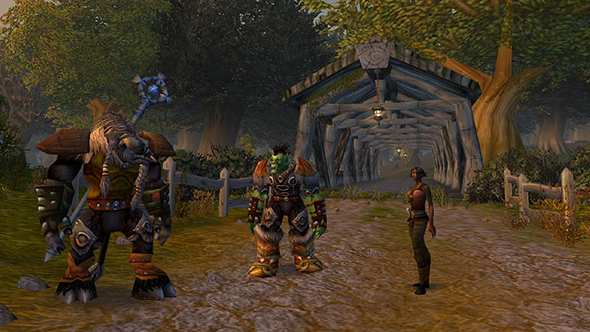 The WoW Classic demo runs until November 8.